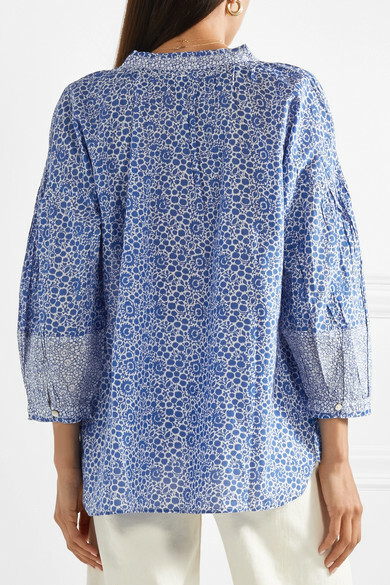 HATCH says its 'Olivia' blouse is "the vintage find you've hunted for but never found". 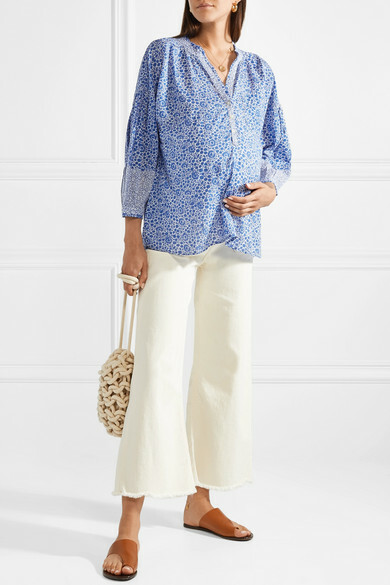 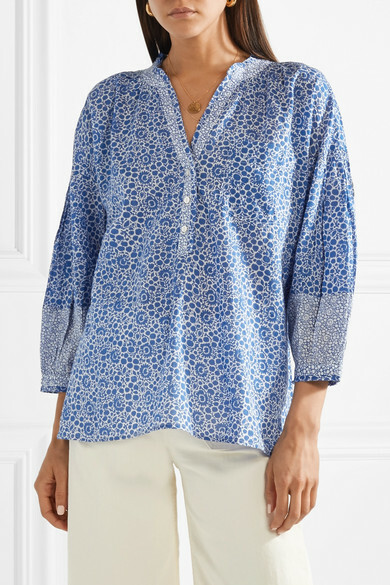 Designed for pre and post-pregnancy, this loose, flowy style is cut from lightweight cotton-voile and decorated with blue flowers. 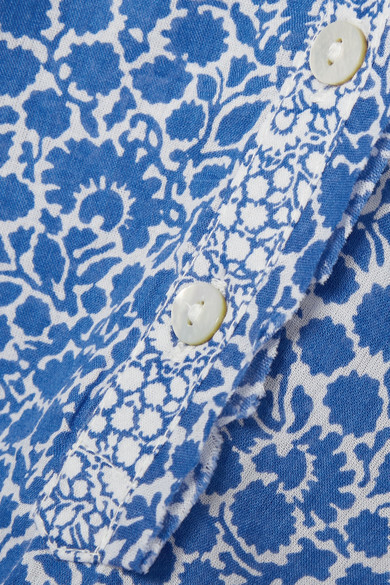 Slip yours over a camisole to ensure complete opacity. 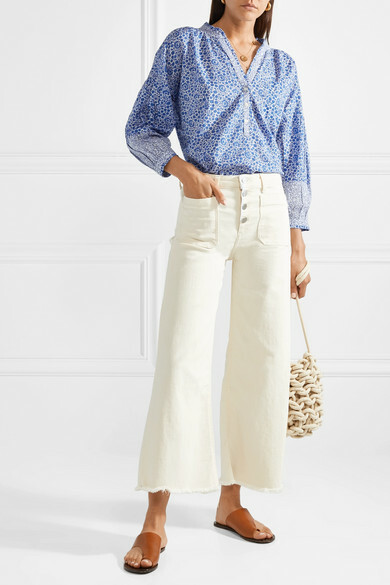 Shown here with: Elizabeth and James Jeans, Alienina Bucket bag, ATP Atelier Sandals.